Description: The Spiralbound 59th edition (2018) IATA Dangerous Goods Regulations (DGR) is the most up-to-date and user-friendly reference manual available for the transportation of dangerous goods by air. 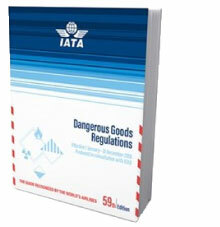 The 59th IATA DG Regulations are based upon the ICAO Technical Instructions, and remain the industry standard for dangerous goods compliance via air transport. This spiral bound version, is ideal for freight forwarders and shippers who frequently need to copy and scan packing instructions and other sections of the IATA DGR. Description: The ICAO Technical Instructions for Safe Transport of Dangerous Goods by Air is the international regulatory publication that provides instructions on how to ship hazardous materials by air. 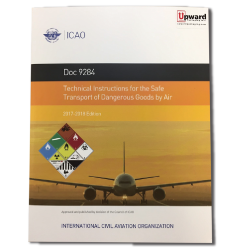 ICAO’s Technical Instructions 2017/2018 have been amended to align them more closely with the latest revised edition of the United Nations Recommendations on the Transport of Dangerous Goods. 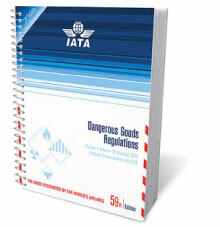 The ICAO TI provide the safety requirements upon which the IATA DG Regulations are based.